"Hi my name is Antonio and I'm from Warakurna high school. I'm 13 years old. 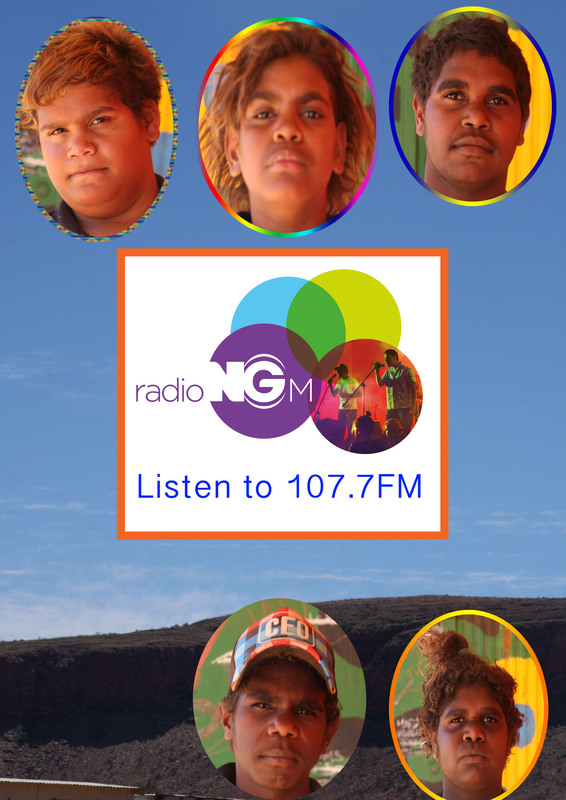 This week we have been making a poster for radio ngm. I have been learning how to use a camera and also computer. I was taking photos of the landscape the hills and mountains above Warakurna learning how to use the camera with focusing and zooming in and out and on the computer I've been learning photoshop." Solomon will be regularly visiting Blackstone, Mantamaru and Warakurna communities in the coming months. Look out for him and the NG Media vehicle around your community and come and join in.